Contract solders from Military Unit No. 22179, located in Maykop, have been sentenced to prison terms. Anatoly Kudrin has been sentenced to six months in an open penal settlement, while Alexander Yevenko, Ivan Shevkunov, Alexander Yenenko, and Pavel Tynchenko received one year each. Alexander Yenenko, who communicated most actively with the press, got the longest sentence [sic]. In autumn 2014, soldiers from Military Unit No. 22179 in Maykop were transferred to the Kadamovsky Firing Range in Rostov Region [eighty kilometers from the Ukrainian border]. Subsequently, contract soldiers left the range in large numbers. Many filed letters of resignation, which were not given due consideration by the unit’s commanding officers. The contract soldiers complained of poor living conditions and feared they would be sent to fight in Ukraine. Regarding the conditions of their military service, the contract soldiers said they had been forced to sleep on boards, and there had often been no electricity and proper food. The topic of Ukraine had surfaced because separatists from the Donetsk People’s Republic were encamped near the Kadamovsky Firing Range. According to the soldiers’ parents, the separatists had agitated among the soldiers, offering them money to go fight in Donbass. Subsequently, a group of soldiers was charged under Article 337.4 of the Russian Federal Criminal Code (absence without leave for over a month). It later transpired that among other things they had not been paid the money due to them for temporary duty travel. One of the men, Alexander Yevenko, a veteran of the conflict in Chechnya, was ultimately paid thirty thousand rubles. 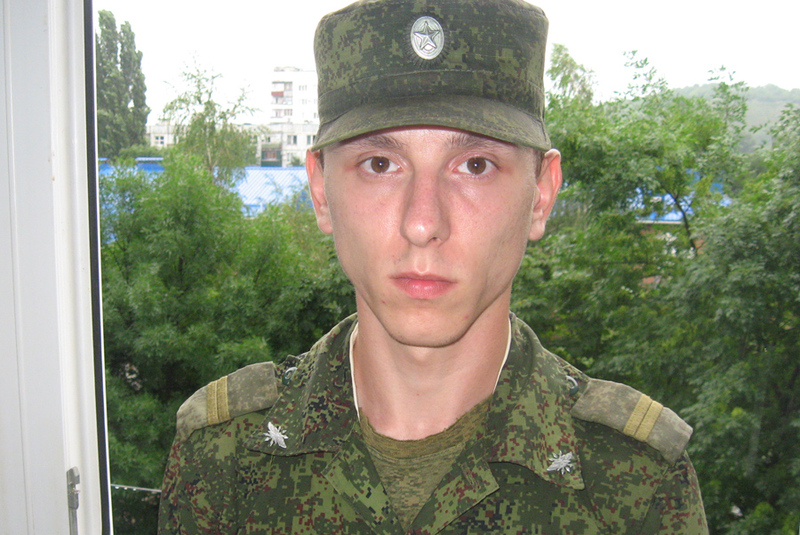 During the course of the investigation, another soldier, Alexander Yenenko, repeatedly informed Novaya Gazeta about illegal investigative methods, the use of psychological coercion, and threats. To verify this information, Novaya Gazeta sent a request to the Chief Military Investigation Department of the Russian Federal Investigative Committee. According to their reply, they cannot comment on the matter. 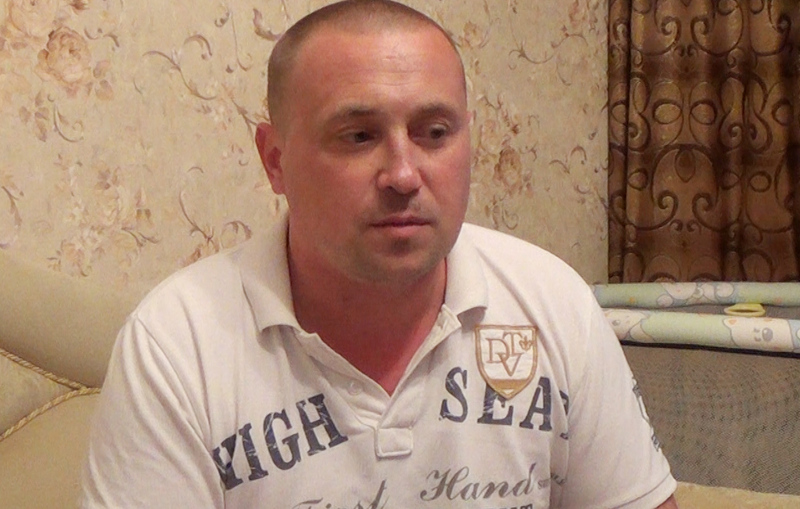 Alexander Yevenko (not to be confused with Alexander Yenenko) has said he intends to appeal the decision of the Maykop Garrison Military Court. The appeals hearing in his case will take place October 22 in the North Caucasus District Military Court in Rostov-on-Don. Translated by the Russian Reader. Photos by Yevgeny Titov. See his previous article on this conflict, “Why Are Maykop Contract Soldiers Resigning?” from the July 15, 2015, issue of Novaya Gazeta (in Russian). See also “Prison terms for Russian contract soldiers who refused to fight in Donbas,” Belsat TV, October 14, 2015 (in English).